And just like that, it’s the last שבוע (week) of the summer. Last time we checked in, לביאים had cruised through pow derpuff and SNL. Since then, we welcomed the last שבת with loud singing, רוח (energy) and joy! The next morning we participated in Joel Sussman’s last מוסף and enjoyed some Ice cream. After a relaxing שבת, everyone joined together to observe and start the fasting for the 9th of Av, commemorating a serious day in Judaism, with a טקס performance and a reading of איכה. The following day, the חניכים engaged in several activities dedicated to the fast, including very meaningful classes and lessons about Judaism, special needs and disabilities, a memorial service and a movie about Chana Senesh. After the fast ended, we enjoyed a hearty dinner that even featured our famous Cheesecake! 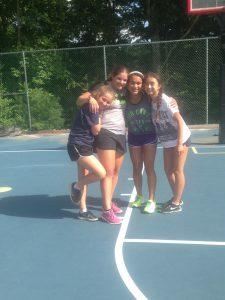 This week, we have continued with Maccabiah, including Dizzy-Izzy’s and the Apache race, and will end tonight with tekes, shellet, and Lechu Nran’na!